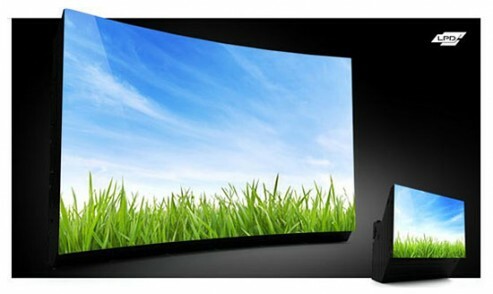 California based company – Prysm has unveiled their latest HDTV that claims having low power consumption and designed with Laser Phosphor Display (LPD). The color processing on Prysm’s LPD is reaching 14 bit/color, 4.4 trillion colors. The r rate is 240Hz while a mere 0.003ms. Prysm Laser Phosphor Display is capable of displaying both quad HD and 3D HD. The basic principle is using laser beams bouncing off to phosphor pixels embedded in the display made of glass and plastic. On power usage, Prysm’s LPD requires a mere 10 per cent power of a plasma display. No info on the pricing and availability yet, for more info on the technical specifications, you could visit Prysm here.